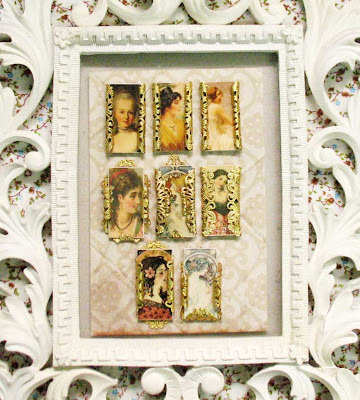 Here are new additions to the French-inspired collection, featuring polymer clay photo-transfer tiles wrapped in brass filigree. 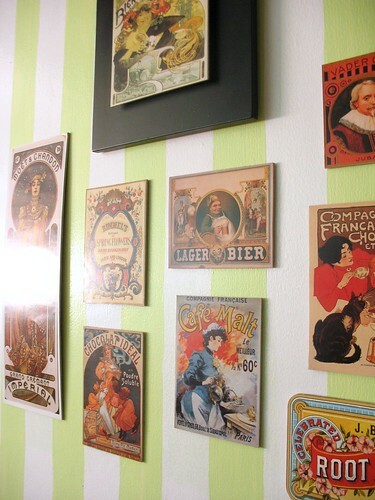 The images are from my collection of vintage photos and ephemera, taken from royalty-free books and other sources. It took me days to properly process the photos. 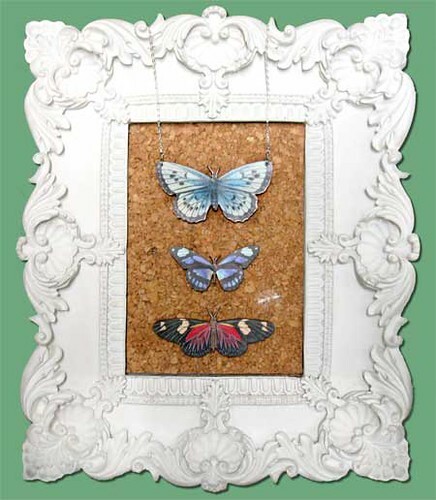 Each photo is then transferred to polymer clay. 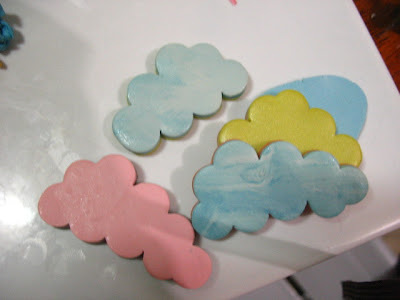 After baking, the tiles are sanded and glazed to give them a professional finish. 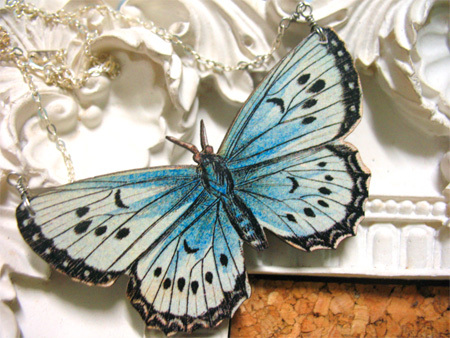 I wrote about my inspiration and design process for these pendants in a previous post. Don't let this cupcake fool you. 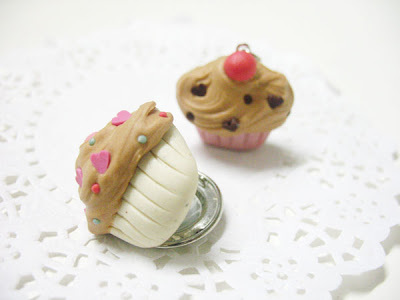 It's not just a regular polymer clay cupcake. 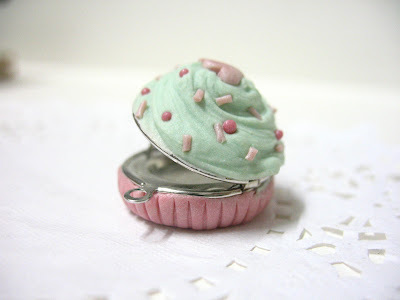 After creating the cupcake locket tutorial earlier this year, another idea hit me. 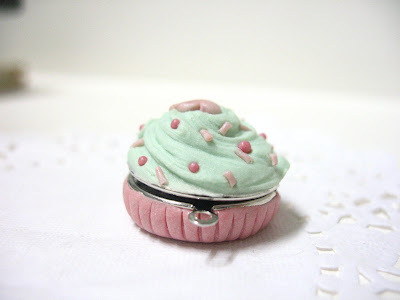 Why not create an entire cupcake out of the locket, instead of just attaching a cameo-like piece onto it? 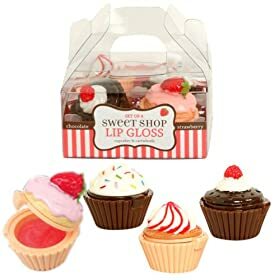 Incidentally, I chanced upon this devastatingly cute cupcake lipgloss set a few weeks later in Rustan's. 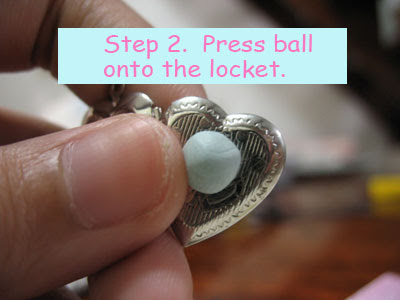 It hit me: I could make the locket open up just like this! 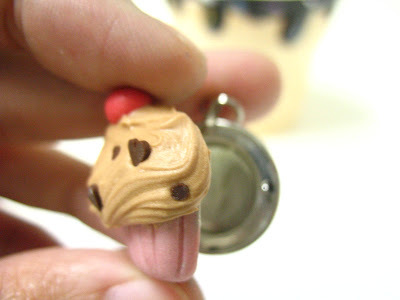 Frosting and sprinkles separated from the base by the locket itself. But like so many of my ideas, this one had to take a back seat as I struggled to finish the 1001 projects on my to-do list. Isn't it amazing? Ack. I was reminded by the project I had yet to accomplish. I made the base flatter than I normally would when making cupcakes, just so the locket can lie flat on the chest when worn. This hasn't been glazed yet. 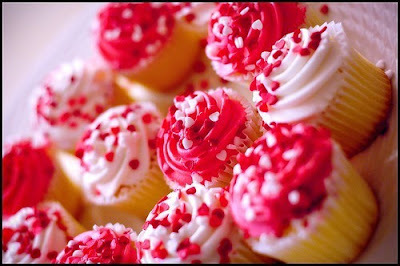 I love how it looks like a cookie instead of a cupcake, teehee. 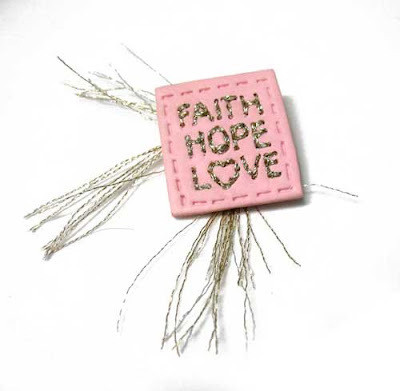 This was made by etsy seller magicbeanbuyer. It's terribly cute, but more importantly, she has been making these years ahead of me. I am a big advocate of originality, so I wanted to differentiate my work from what is already out there. So last night, I went back to the old drawing board and tweaked my idea. 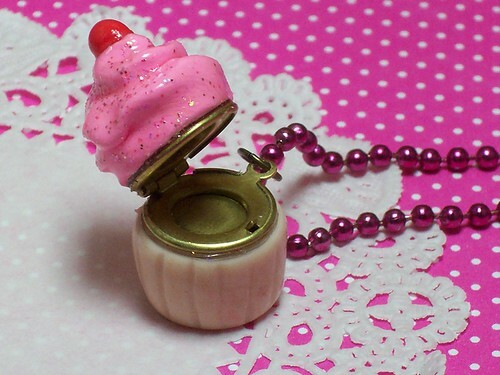 And that's how these new cupcake lockets were born. They're still a work in progress, but I will get there. 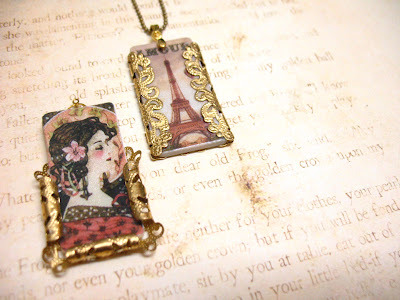 If the Moroccan-inspired jewelry were simple clay medallions set on brass filigree, these new French-inspired pieces feature photo-transfer polymer clay tiles wrapped with filigree. 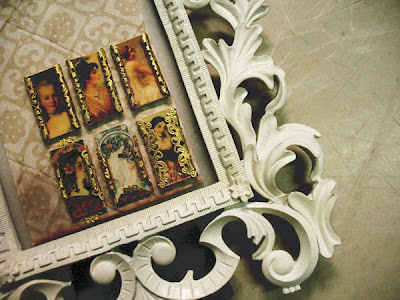 At first, I came up with simple photo-transfer tiles, like the ones I used to make when I was starting out. 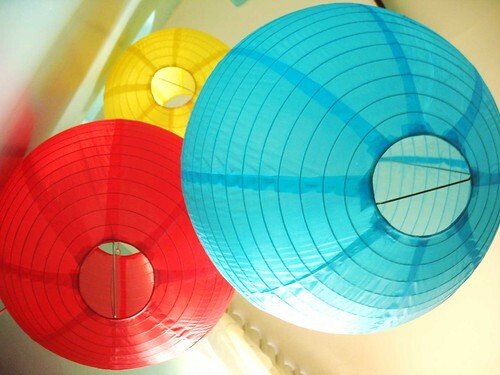 But I found them boring, and I wanted something new this time. I decided I wanted them to look like delicate vintage cabs and cameos. 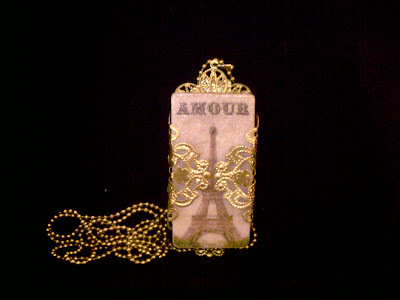 The challenge was to make the tiles look luxurious, and it's hard to do that with polymer clay. 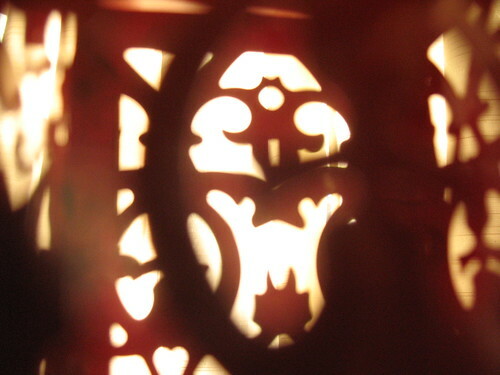 I set them on brass filigree, like what I did in the Moroccan collection, but the tiles looked out of place. So I tried something different - wrapping them in filigree instead of simply setting them on top of it. I think I finally got the look I was going for. 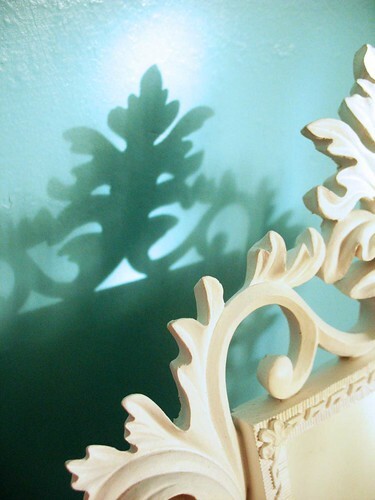 It's hard to make polymer clay pieces look luxurious. 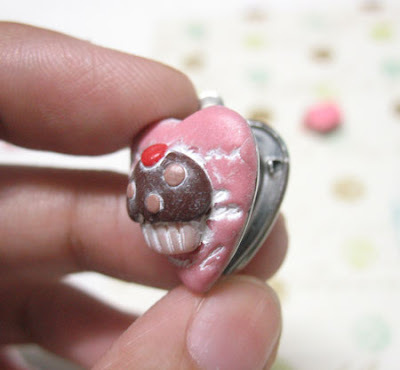 I found that one way to lend polymer clay that classy look of "real jewelry" is to combine it with metals. 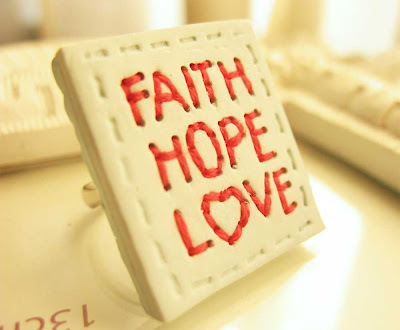 You don't need expensive gold or sterling silver. 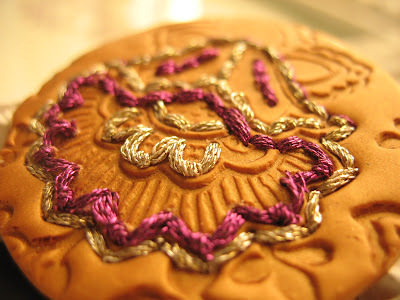 Here I used inexpensive raw brass filigree to set simple clay medallions. 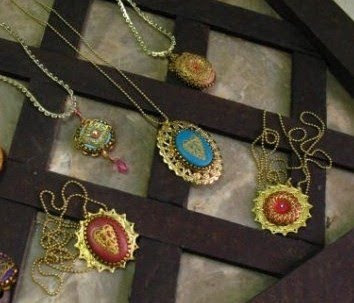 I call these my Moroccan-inspired collection. Sorry if I sorta abandoned this account. I got sick, so I went on a really long vacation and finally got that much needed R&R. Then life got in the way, and I couldn't go back online immediately. 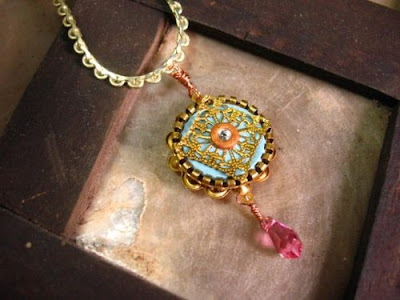 A polymer clay tile wrapped with brass filigree. More posts and pictures to come! Thanks for still following me! 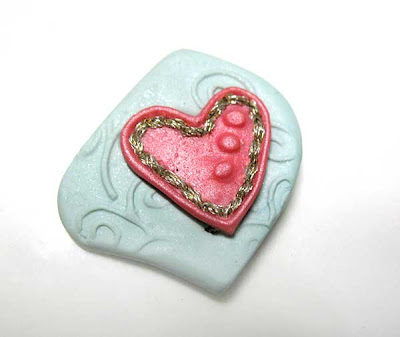 The polymer clay blogeratti has noticed Confessions of a Chronic Crafter! 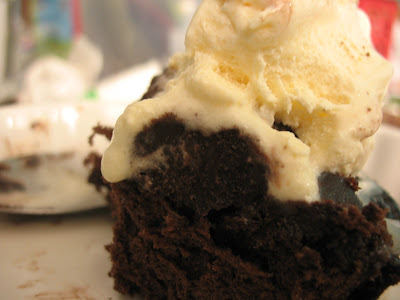 I am deeply grateful for all the blog mentions! 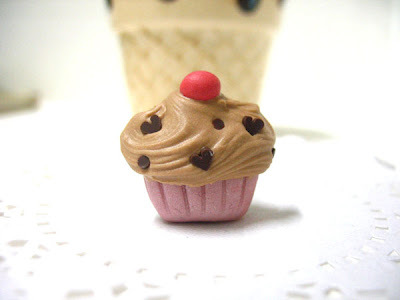 My 2D cupcake tutorial was featured on Craft Gossip! 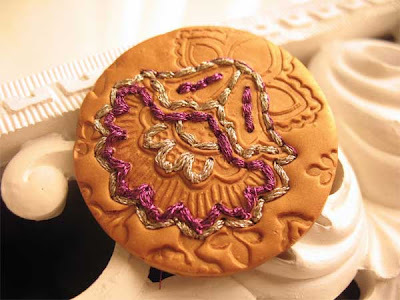 And my new polymer clay embroidery projects were mentioned in CraftyGoat's Notes! 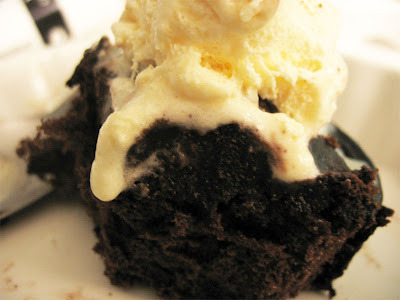 Thank you, thank you to the editors/bloggers! And thank you Organic Odysseys for the links! I'm trying to introduce regular sections into this blog, so you can look forward to something new every week. 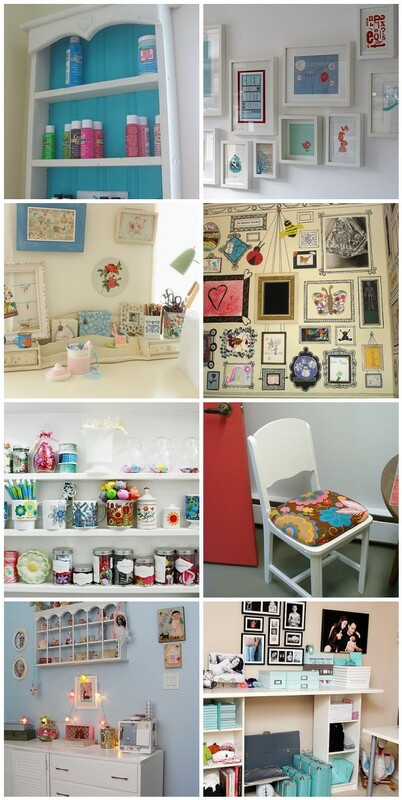 Wednesdays are for DIY tutorials, a time to get crafty! 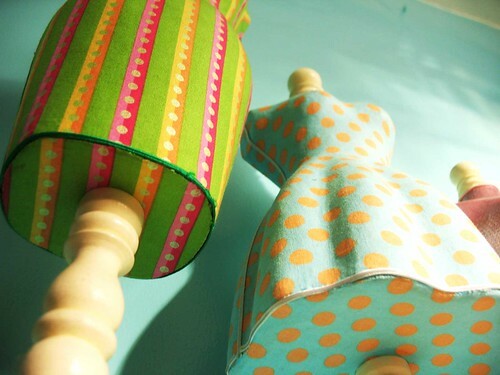 Let's start off with a simple project to complement the first DIY tutorial I posted a while back. Step by step photos and instructions after the jump. 2. 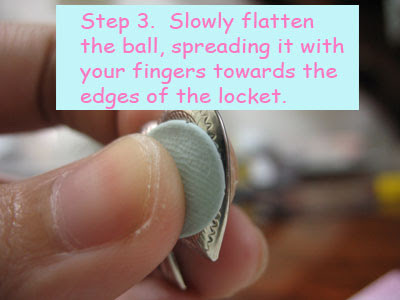 Clean the locket. Wipe off any dirt and oils that may have been transferred from your hands. 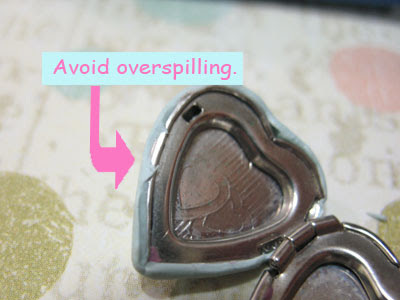 *TIP: Work with the locket open. 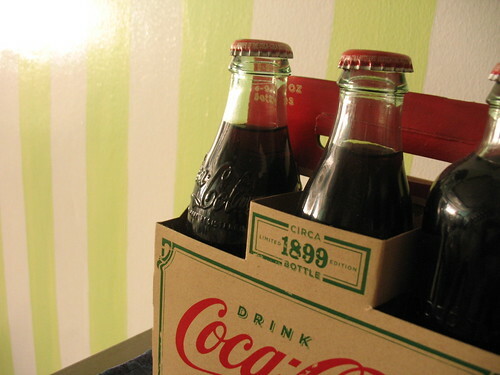 Every once in a while, check the hinges to ensure they remain clay-free. Step 1. 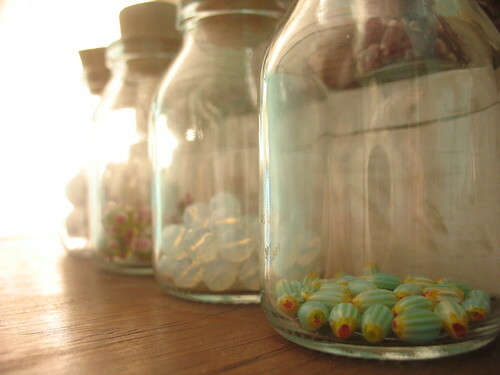 Make a clay ball. will result to thin, weak areas on your clay. Step 8. 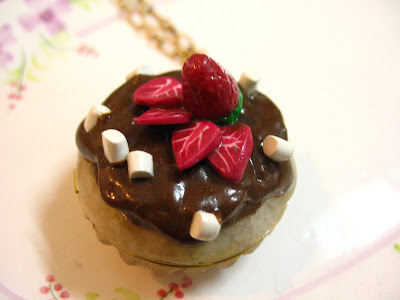 Add other embellishments (like the 2D cupcake from the previous tutorial). Step 9. Bake according to clay manufacturer's instructions. Read more. Step 10. Repeat all steps for the reverse side if you wish. Step 1. 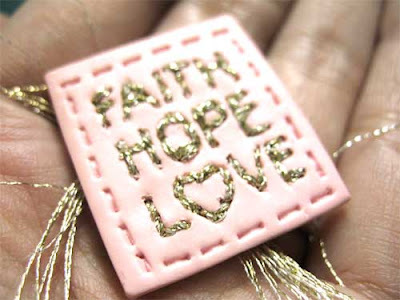 Peel off the clay from the locket. Step 2. 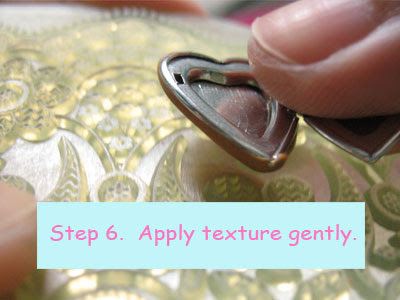 Apply a thin layer of E6000 glue to the clay. Step 3. 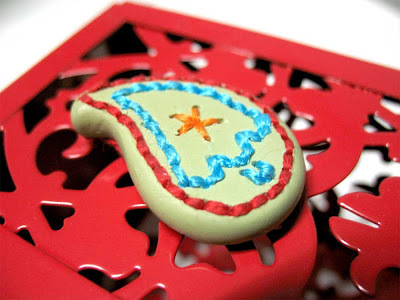 Attach the clay back onto the locket. Step 4. 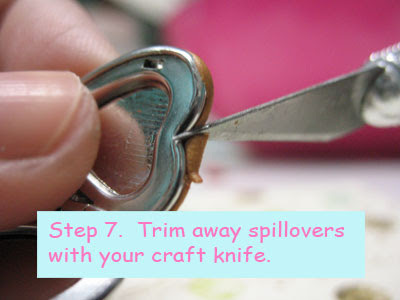 Let glue dry for 24 hours or more.